Centrum is housed at Fort Worden State Park, in Port Townsend. The sandy beaches, majestic woods, and unbeatable views at Fort Worden are complemented by the historic charm of Port Townsend. When not busy with a workshop or at a concert, lounge on the beach or hike through the woods to scenic overlooks. Wander through the batteries tucked away throughout the park. Or enjoy a fine meal in one of the many restaurants in Port Townsend. Sounds idyllic, and it is. The only thing needed to make this scene complete is a couple of bottles of Washington State Wines. Fortunately, it’s available. There are quite a few excellent Washington State Wineries on the Olympic Peninsula. In Port Townsend, visit Sorensen Cellars and Fair Winds Winery. On your way to or from town, stop by FinnRiver Farm and Cidery in Chimacum. 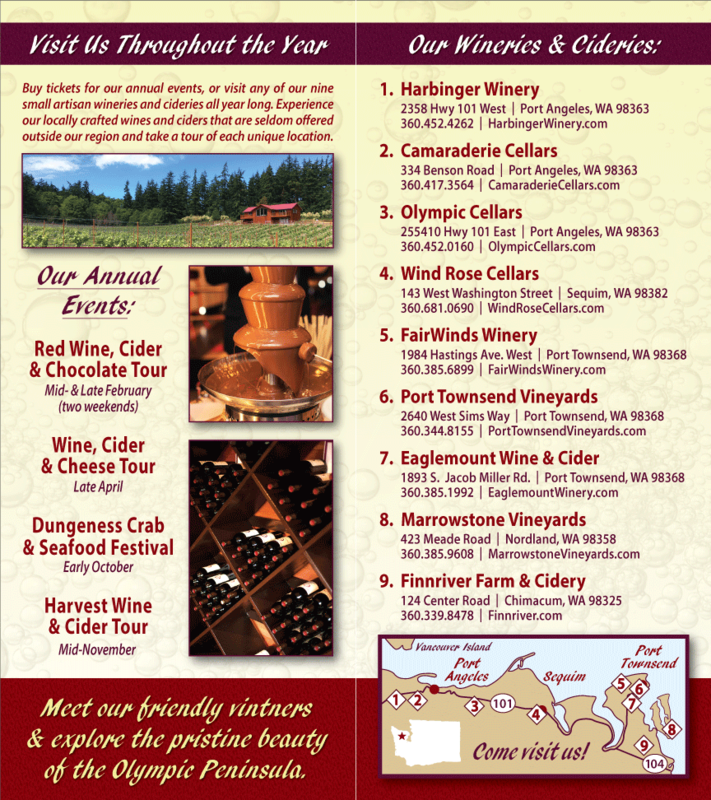 Washington State Wineries on the Olympic Peninsula are open for tours and wine tasting. Visit individual websites for more information.